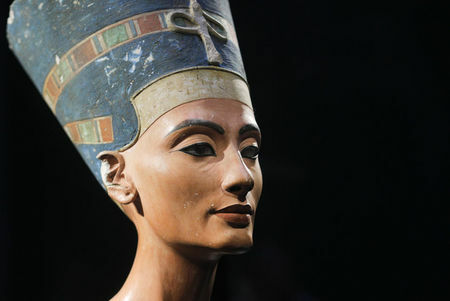 CAIRO (AP).- Egypt's antiquities chief said Sunday he will formally demand the return of the 3,300-year-old bust of Queen Nefertiti from a Berlin museum after confirming it was sneaked out of Cairo through fraudulent documents. Zahi Hawass, the head of Egypt's Supreme Council of Antiquities, has been aggressively campaigning to reclaim treasures that he says were stolen from Egypt and purchased by some of the world's leading museums. Hawass' campaign yielded a huge success this week with the return of painted wall fragments from a 3,200-year-old tomb from the Louvre in Paris. Hawass had cut ties with the French museum and suspended its excavation in southern Cairo to pressure it to return the artifacts. 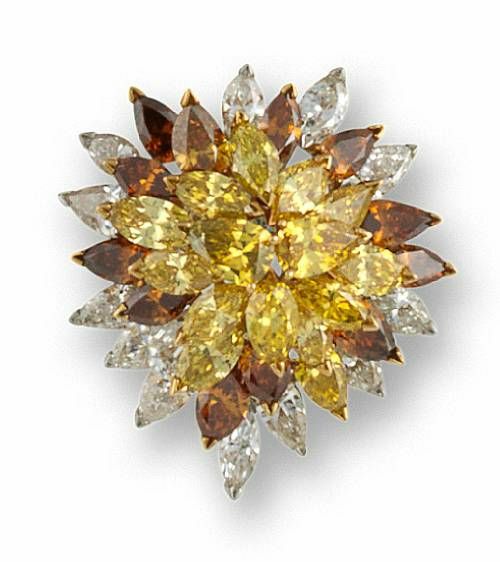 Highlighting the importance of the efforts, Egyptian President Hosni Mubarak traveled to Paris to oversee the handover of the fragments, which arrived in Cairo Tuesday. The limestone bust of Nefertiti, wife of famed monotheistic Pharaoh Akhenaton, topped the list Hawass has drawn for high-profile items he wants back. Since the bust was displayed in Germany in 1924, Egypt has been demanding its return. German authorities have declined, saying the bust is too fragile to move. A statement from Hawass' office said Friederike Seyfried, the director of Berlin's Egyptian Museum and Papyrus Collection, presented documents held by the museum proving the bust was sneaked out of Egypt illegally. "The national committee to reclaim antiquities will hold an emergency meeting ... to examine official steps to demand the final return of the Nefertiti bust from Berlin to Egypt," the statement said. The documents include a protocol signed by the German excavator of the bust and the Egyptian Antiquities Service headed by Gustave Lefevre in 1913, a year after the statue was unearthed in Amarna in southern Egypt. In the documents, the object was listed as a painted plaster bust of a princess. But in the diary of the German excavator Ludwig Borchardt, he clearly refers to it as the head of Nefertiti — whose name means the beautiful one has come. "This proves that Borchardt wrote this description so that his country can get the statue," Hawass' statement said. "These materials confirm Egypt's contention that (he) did act unethically with intent to deceive." The existence of these documents was known to archaeologists. It was not clear why the museum decided to hand them over to Egypt now. Hawass' statement quoted the director of the museum as saying the authority to approve the return of the bust to Egypt lies with the Prussian Cultural Heritage and the German culture minister. Seyfried will act as a liaison, the statement said. Nefertiti is the 14th century B.C. wife of Akhenaton, who initiated a new monotheistic religion that involved the worship of the sun. Her bust was recently moved back to Berlin's Neues Museum from the adjacent Atles Museum, part of a cluster of five art halls that make up one of Berlin's most familiar landmarks. Thousands of antiquities were spirited out of the country during Egypt's colonial period and afterward by archaeologists, adventurers and thieves. Hawass's list of most cherished treasures includes another piece held by the Louvre, the painted ceiling of the Dendera temple showing the Zodiac. He has also asked for the return of the bust of Achhaf, the builder of the Chephren Pyramid, from the Museum of Fine Arts in Boston and a statue of the Hemiunu, the nephew of Pharaoh Khufu from Germany's Roemer-Pelizaeu museum. He says he has recovered 5,000 artifacts since becoming antiquities head in 2002. By: Sarah El Deeb, Associated Press Writer. Copyright 2009 The Associated Press. 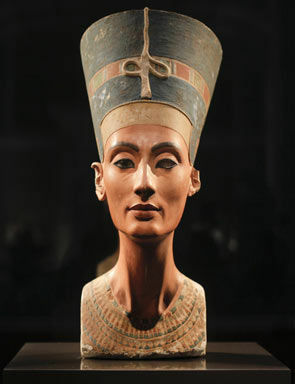 Egypt's antiquities chief said Sunday, Dec. 20, 2009 he will formally demand the return of the 3,300-year old bust of Queen Nefertiti kept in a Berlin museum after confirming it was sneaked out of Cairo through fraudulent documents. AP Photo/Markus Schreiber.